Home is where one should find coziness, comfort, and visual enchantment. Since no place should out-comfort your home, it becomes natural to make sure your place provides you with the necessary comfort to charge your batteries and help you reach that uplifting state. There are many ways and items to help you build all that. Quilts are among them. They will add warmth and a splash of color to your home and make it more hospitable. Check the ones below for your room decor update. Enjoy that good night’s sleep you need to get things done properly by boosting your comfort with the latest Queen comforter by Utopia. The durability of this product is ensured by its strong stitching, and high quality siliconized fiber filling. 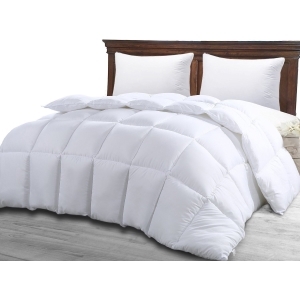 The comforter is hypoallergenic and ultra soft thanks to its filling. It will not only provide you with extra comfort when resting, but it will also protect you against dust mites and mildew, a feature that makes it perfect for those who suffer from allergies. 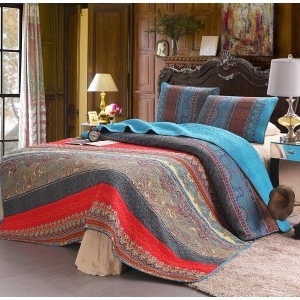 Let your room reflect the bohemian you with this 3-piece quilt set from Exclusivo Mezcla. The set includes 2 Pillow Shams ( 20″ x 26″) and 1 Quilt( 92″ x 88″) that fit a queen/full-size bed. The cover is 100% cotton, and the filling uses 50% cotton and 50% polyester. This 3-piece set won’t just enhance your coziness when resting or simply relaxing, but it will also add a touch of color and unique designs to your room. It is thick enough to keep you comfortable yet light enough to keep you from sweating. Bask in comfort when resting or relaxing with this quilt and sham set by Virah Bella. The set includes 1 Quilt, 2 Shams (only 1 Sham in Twin Size), and 1 Matching Quilt Throw (50″ x 60″) that will fit a queen/full-size bed. The quilted throw is lightweight and soft, and the entire set is machine washable and dryer safe. This product includes a 100% polyester printed face and microfiber back and comes with a 50% cotton, 50% polyester fill. 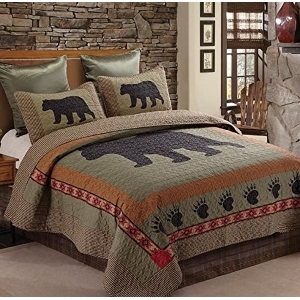 The bear and paw design will add color to your room as well as a touch of warmth. It makes a great gift, too. If you want to add warmth and style to your place in the traditional way, you might want to consider this SLPR quilt set. The set is available in twin, queen, and king versions. No matter the option you go for, you will enjoy 100% cotton that will pamper your senses with its soft light touch. The filling is 50% cotton, 50% polyester. It is lightweight and soft enough to take your comfort to the next level, and the traditional design is just perfect for a bedroom makeover. Thanks to its mix of texture and pattern, you can use this set no matter the time of the year. 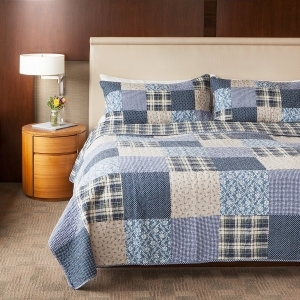 Fall in love with the comfort and stylish design of this quilt set by Eddie Bauer. The 100% cotton cover and fill will pamper your senses with a soft touch. The set includes one quilt and two standard shams (only one sham included in the twin size). 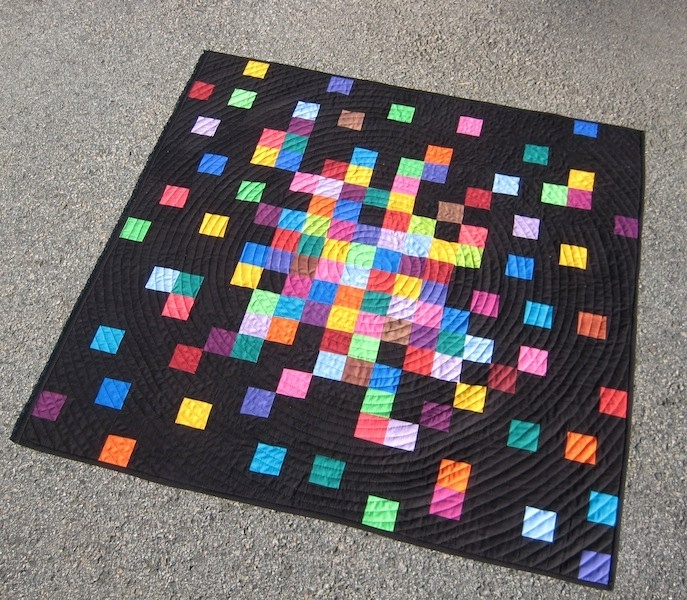 The quilt is fully reversible and machine washable. You can use the quilt to cover your bed or throw it on a chair for added style. The set is also great for a Happy Birthday or Thank You gift. It doesn’t take much to throw a new light upon your place and add a fresh vibe to it. A few decor accents will do. 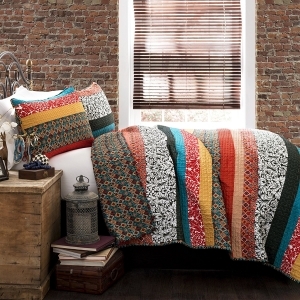 Take this boho quilt set by Lush Decor, for instance. Its vibrant colors and bohemian design will reflect the free-spirited and chic you and cheer up your place. The set includes three pieces made from 100% cotton and features colorful floral and geometric patterns that will revive your place while enhancing your comfort. Use it to give shape to your personality, get a fresh decor touch or say Happy Birthday. It will trigger a smile anyways. The bedding items you use count a lot when it comes to your comfort. Lavish Home is committed to boosting your comfort when resting or relaxing with this Caroline 3-piece quilt set that combines quality materials with a cheerful design. The set includes one comforter (86 inches x 86 inches x 25 inches) and two shams (20 inches x 26 inches x 25 inches) and fits a queen/full-size bed. The cover is 100% Polyester and the filling 50% cotton and 50% polyester. The Caroline set is perfect to reinvent your room or to use as a gift to celebrate your dear one’s birthday. Revive your bedroom design with this quilt set by VHC Brands, and you will get to boost your comfort and also reflect your patriotism thanks to its design. 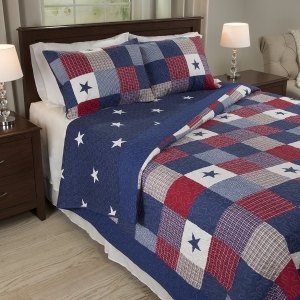 This set includes a queen size quilt (90″ x 90″) and two quilted flag shams (21″ x 27″). Both the cover and the filling are 100% cotton being the ones that make sure your senses get pampered when basking in this set. The color palette and flag pattern will express the patriotic you while adding a vibrant touch to your place. Enjoy it for your home or give it as a gift, it will be a hit anyway. If you’re interested in leveling up your comfort when resting and adding a touch of color to your place, this quilt set by Exclusivo Mezcla will help you enjoy all that without breaking your wallet. This queen size set includes one quilt ( 92″ x 88″) and two pillow shams ( 20″ x 26″). The quilt is reversible, though, so you get two designs. The cover is 100% cotton and the filling 50% cotton, 50% polyester. That translates into soft fabrics touching your skin and keeping you comfortable. The multiple design elements and vibrant colors will make for a great addition to your bohemian room. 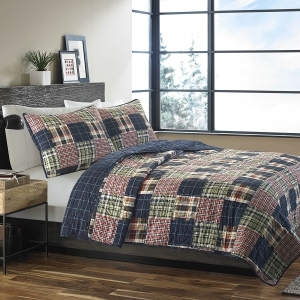 Whether you finally got your own place or you just feel the need to revive your old one, this mini quilt set by Woolrich might be a great choice. Made from 100% cotton, the quilt is lightweight enough to keep you comfortable no matter the time of the year, and the classic Buffalo check pattern makes for an inspired decor update. This set includes one quilt (92-by-96-inch) and two standard shams (20-by-26-inch) that fit a queen/full-size bed. Reinventing your room with it won’t just add that fresh vibe you want but will also add to your comfort. If quality and comfortable fabrics cut in stylish designs are the ones you want for your room decor update, this quilt set by Cozy Line Home Fashions will make sure you enjoy all that without spending oodles of cash. The face and filling are 100% cotton that makes the set soft, skin-friendly, and a comfort-enhancer. The durable materials will allow you to use it for long periods of time and the reversible side patterns will help you refresh your decor without getting a new product. The dinosaur design makes it perfect for teen boys. 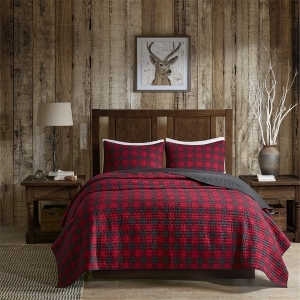 Give your bedroom a timeless touch with this quilt set by Eddie Bauer, and you will get comfortable materials that will enchant your senses and a stylish pattern that will feast your eyes. 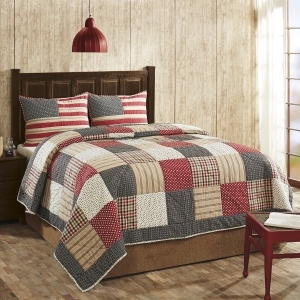 This quilt set is made from 100% cotton and is pre-washed for added softness. It includes a quilt and two standard shams. This product is available in twin, king, and queen versions. 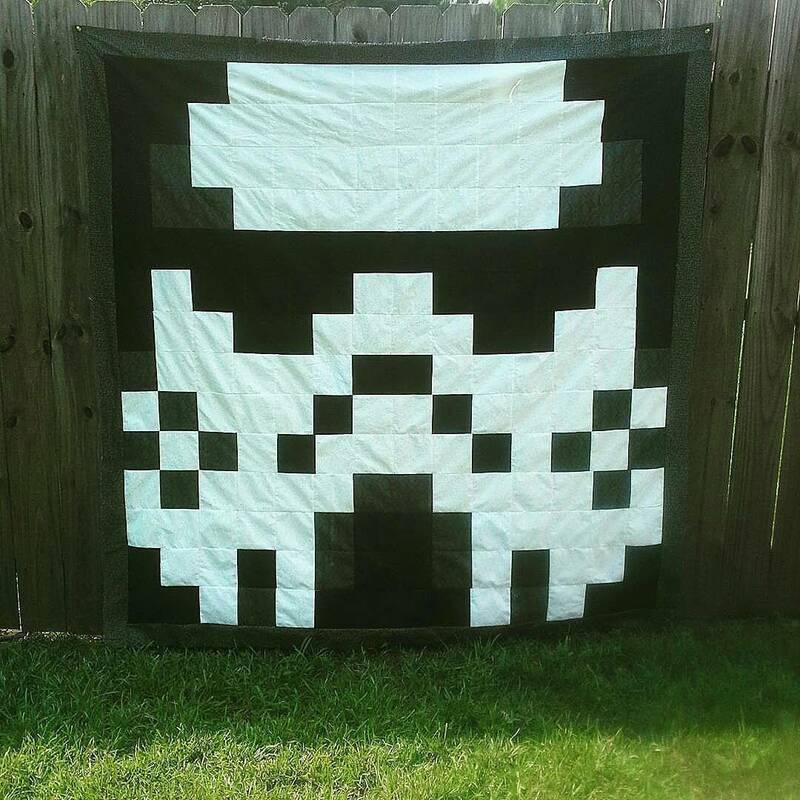 The quilt is reversible and machine washable so you can change the design when you feel like doing so. The multicolor patchwork is perfect for a room in need of a vibrant touch as well as for a gift. Quilts… Aren’t they neat! They come in all sizes and for all purposes; they can decorate walls, floors, furniture or serve as bed covers; they can be soft or abrasive; they can be whole cloth or a veritable mosaic of patches; they can be colorful and vivacious, or bright and relaxing. Best of all, they can be decorated in a virtual infinity of patterns. There are traditional geometric ones, ratty, patchy ones with a heavy stitch, and some new cool quilts that look like Mondrian paintings. You can even add figurative images unto them by applique; you can add flowers, hearts, cats, and cars, whatever your creativity leads you to. There’s so much to say about quilts that one doesn’t know where to begin. The safe bet is always to begin with a bit of history, so let’s start from where quilting as we know it appeared in America. Like any tradition, it arose from necessity. Due to a scarcity of local fabric and a high price being placed on imports from Europe, local housewives started recycling old patches of textile by sewing them together into bigger blocks. These were used mainly as bed coverings and as wrappings for newborns, but they also served a decorative purpose. There are a lot of well traditional quilt designs to be found out there, either available for sale or to be used as inspiration for your own quilting endeavors. These are generally made by groups of local women to commemorate special events, of a personal, local or national importance, such as weddings, births, graduations, homecomings, elections and even wars. Quilts made to raise money for a specific cause usually have the donor’s name embroidered on them. These served — and still serve — a whole number of causes, from disaster relief to offering a symbolic parting gift for a pastor or funding the building of a new church. They were even used as fundraisers for wars or gifts for returning veterans. Military-themed quilts typically feature patterns resembling medals, patriotic symbols, and even unit insignia. Quilting, however, is a peaceful, relaxing activity. Like any light and repetitive manual labor, it elicits a state of serenity and deep contemplation in the person performing it. No wonder, it’s lately become very popular as a hobby. Wedding quilts follow either an interlocking ring pattern — with obvious symbolic significance — or a tulip floral pattern, which used to symbolize love back in the day. If anyone tries to sell you a heart pattern as a traditional wedding design, don’t buy into it! Hearts were never used as such since the heart-shaped pattern tearing was seen as ominous. Baby quilt patterns tend to feature intricate shapes and pure colors, to give them a lively, joyful feel. Sometimes you’ll find these with an object pattern, such as a windmill or a sailboat, which alludes to a possible career path for the newborn. They are pretty difficult to saw, however, due to their small sizes. There are scores of websites out there offering you both traditional quilt patterns to use for a vintage, carefully crafted piece or new and cool quilt ideas to make your own original bed covering for a pittance. Thirst thing to do is choose patterns that only require large pieces. This will save you a lot of time since everything goes painfully slow for a beginner. Besides covering a bigger part of the base area, large pieces also give you fewer seams to sew, thus leaving less room for error. Quilt patterns that only use squares and rectangles are alway easiest to work with. They don’t pose much difficulty to be placed at straight angles from one another and are also easier to sew. With a triangle, for example, it’s hard to tell if you are stretching the material too much or not enough because you cannot always determine if its edges are at the right angle. Although this might prove a little more costly (meaning more costly than not at all), you could start out with pre-cuts. These are pieces of fabric that can be purchased from stores already cut into various shapes. They might subtract from the originality of your creation, but they offer an added measure of accuracy and can save you a lot of time of careful cutting. You might also consider taking a beginner’s class. Most courses are structured to teach all the basics in the first session, so it might prove useful even for people who don’t have the inclination to stick around. You could also look for a beginner or novice label on the patterns you purchase. These are usually easy enough to identify following the tips above but some apparently complicated patterns might be deceptively easy, and you might be shying away from some cool quilts patterns that are fully within your ability. Quilts are used to create a warmer environment, both literally and figuratively. Considering you used the right material for the job, they are useful as blankets; armchair covers can be utilized as carpets for an excessively cold patch of a tile floor or hung from the walls as makeshift insulation, oriental style. But first and foremost, they add a bit of liveliness and color to every room. Even when pale, their intricate patterns break the monotony of straight lines and angles that dominate most modern homes. They give it a more rustic, “homely” feel which separates it in our mind from the often drab outside and the slow, precise grind of our nine to fives. It worths mentioning that there are quilts out there for the those more inclined toward minimalism. While these take from the simpler and colder patterns found in modern art, we cannot help but get the feeling their effect is the same.